The Howard County Chamber Awards of Excellence (ACE) awards are presented annually to deserving Chamber members in good standing who have developed successful business strategies, served the community and demonstrated a continuing commitment to the Chamber’s overall mission. The awards were presented at the Signature Event in September. See all of the past ACE winners in the Hall of Fame . Allen & Shariff started in 1993 in Columbia as an engineering consulting business and has grown to offer a wide range of services in building design, construction, project management and project finance worldwide. The company prides itself on having a small business feel and big business capabilities. Along with Allen & Shariff Engineering, LLC and Allen & Shariff Construction Services, LLC the company includes Allen & Shariff Abu Dhabi Branch, which provides project and construction management services from its office in the United Arab Emirates. In 2013, the company launched Allen & Shariff Healthcare, LLC, which provides healthcare consulting services to support healthcare providers, payers and law firms. Co-founders Zack Shariff and William (Bill) Allen met when Zack took a refresher course at UMBC and Bill was the instructor. When Zack needed the skills of an electrical engineer, he called upon Bill, and in 1993 they merged their separate one-man companies into one company. Today, the company has 183 employees and an international reputation for providing high-quality, professional services. In the near future the company plans to expand its international operations to Turkey and Colombia (South America). Bill Allen, who now has the title of advisor, has continued his commitment to education. He currently teaches engineering at Howard Community College and oversees continuing education programs for company employees called Allen & Shariff University. “Our strength is the culture we have within the company and the culture of excellence that we want to continue to build upon,” Zack said. 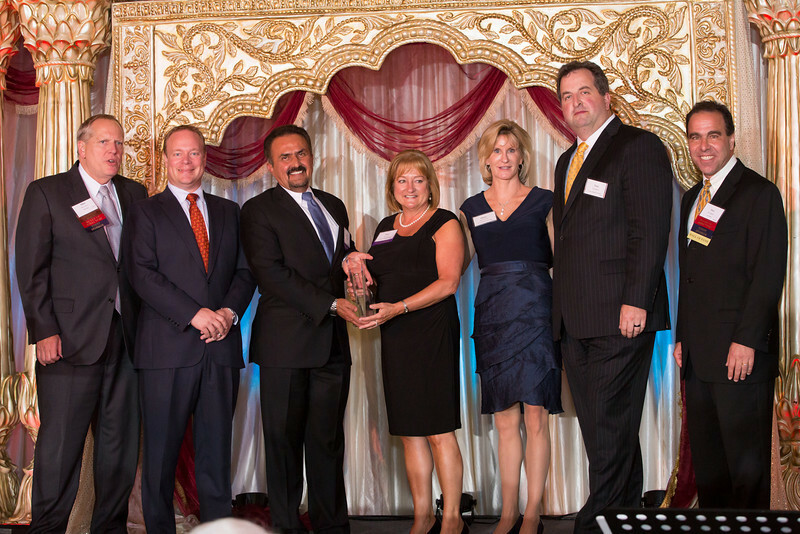 The company regularly measures its performance using the Baldridge method and received the Maryland Quality Award in 2007 from the Maryland Performance Excellence Foundation, Inc.
Allen and Shariff encourages all of its employees to give back to the community, and to take time to be involved in organizations and projects that help others. Mary has served as chair of the board of Leadership Howard County and supported the Howard County Conservancy, the Howard Community College Educational Foundation, FIRN and others.